Defend your standing with this customized carryall! 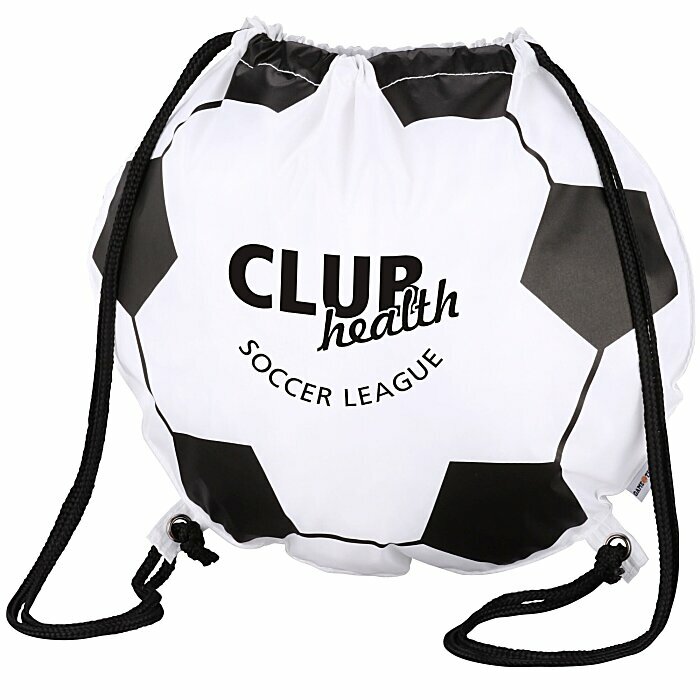 Rally your students and alumni in support of their high school or college home teams with these aptly-shaped bags. The stand-out sportpacks are shaped, coloured and styled just like a soccer ball. Carry the 210D polyester bag over-the-shoulder or backpack-style with the dual drawstring cinch straps. Metal grommets reinforce the straps for longer-term use. Perfect for college bookstores, pro shops, alumni associations and much more! 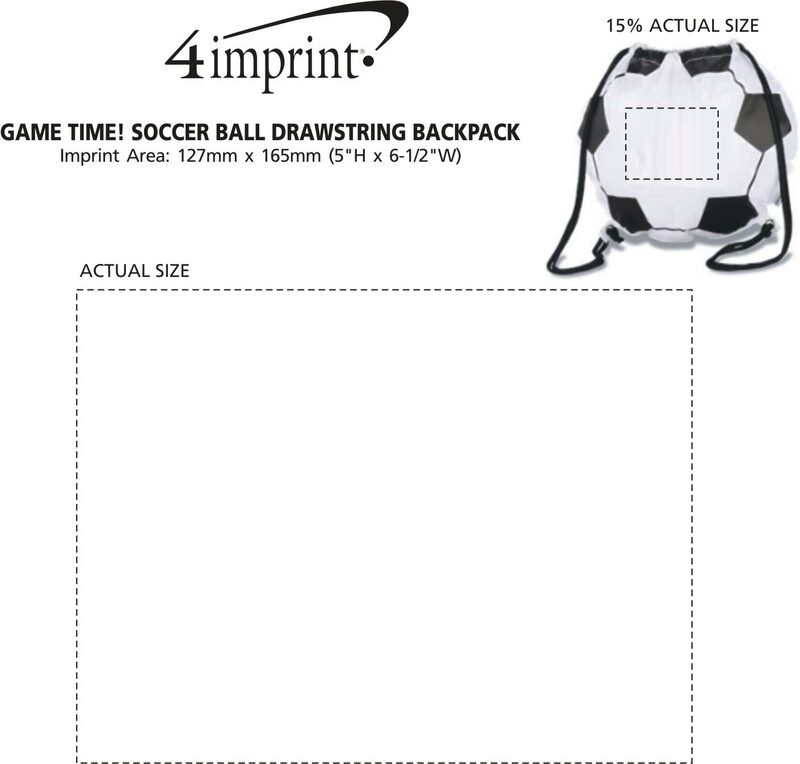 Additional ballgame themes are also available including Football (#114806-FB), Basketball (#114806-BK), Baseball (#114806-BB), Softball (#114806-SFB), Golf Ball (#114806-GB), Tennis Ball (#114806-TB), and Volleyball (#114806-VB). Size: 368 x 431mm (14-1/2" x 17"). Your price includes a one-colour imprint on the front of the sportpack. Set-up charge: add $55 per colour.